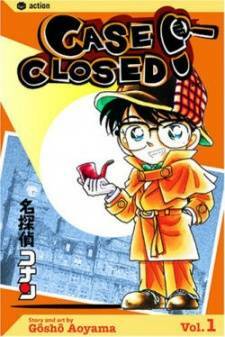 Scenario: Yoko Okino is starring in a television drama and invites Kogoro, Ran, and Conan to watch the filming. The camera man, Mario, is murdered and his dying message in kanji spells "Shrinegod". Conan observes that some of the words are dry while others are wet. The dry strokes spell "Ringo", the name of one of the actors. Ringo confesses that he changed the message, but only to avoid suspicion for murdering Mario. Conan further realizes that the name was altered before Ringo changed it. The real name is under Ringo's. 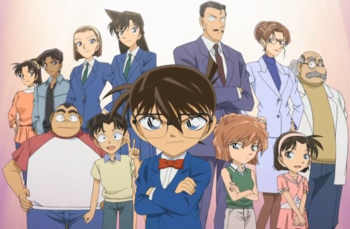 Through Kogoro, Conan reveals that the real message left behind is "Tina". He claims that when Tina killed Mario, she did not notice the dying message. When her husband, Jerumia, spotted the message while searching for her and changed it to frame Ringo. Tina confesses that she murdered Mario because he blackmailed her. She had indirectly caused the robbery of her grandfather's shrine and the Shrine's supervisor commited suicide.